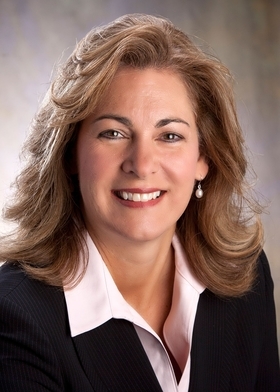 Beaumont Hospital-Farmington Hills (Mich.) Wednesday appointed Constance O'Malley as president. She will be the first woman to lead the hospital. O'Malley takes over Dr. Paul LaCasse, who has been named VP of the post-acute care division and diversified business operations for Beaumont Health. Beaumont Hospital-Farmington Hills, formerly known as Botsford Hospital, in November 2014 announced the expansion. It includes a five-story, 80-bed tower to be built on its campus, according to Crain's Detroit Business. O'Malley previously served as VP and COO of Beaumont Hospital-Troy. At Beaumont-Troy, she led daily operations and ambulatory services. Before that, O'Malley was vice president of surgical services and trauma, transplant and ambulatory services at Beaumont Hospital-Royal Oak. She also led the Beaumont Medical Center-West Bloomfield. O'Malley previously held leadership positions with Ascension Health-St. John Providence Health System and the Detroit Medical Center. Beaumont Hospital-Farmington Hills is one of eight hospitals under the Beaumont Health umbrella. Beaumont Health was created in a $3.8 billion merger between Beaumont Health System in Royal Oak, Mich., Oakwood Healthcare in Dearborn, Mich., and Botsford Health Care in Farmington Hills, Mich. The 2014 deal came after Beaumont's failed merger the prior year with Henry Ford Health System in Detroit. Insiders said physician and cultural differences derailed the deal, which was six months in the making.